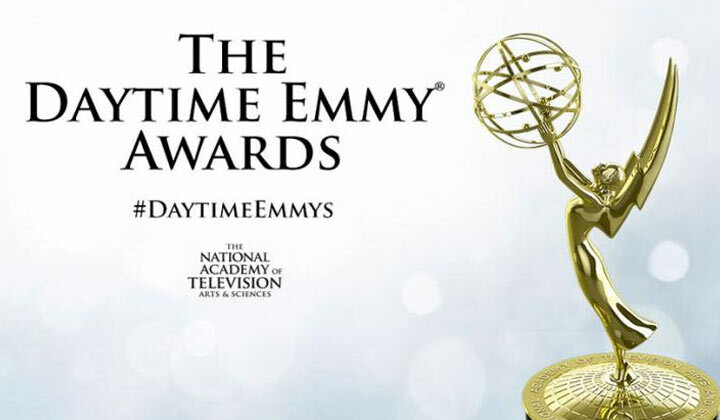 have joined together to demand changes in the voting and accounting practices for the Daytime Emmy Awards and the way the competition is held, according to Deadline. The joint letter, sent today to National Academy of Television Arts & Sciences chair Terry O'Reilly and interim president and CEO Adam Sharp, is in response to the recent gaffe, in which Patrika Darbo's 2018 Daytime Emmy for her guest-starring role on Amazon soap opera The Bay was rescinded after NATAS found submission errors in her and other categories. Last month, Darbos called out the group for its actions and called for an outside audit “to restore integrity and confidence in” the awards. • Voting should be limited to members of NATAS or the Television Academy. • All members should be eligible to vote for outstanding show. The current process in which NATAS selects who votes is unacceptable. • All qualified members in a given category should be eligible to vote in that category. • We are concerned about conflict of interest in the voter pools. We require complete transparency of the voting process. • NATAS must stop instructing the accounting firm to disqualify certain ballots because of NATAS perception of block voting or other issues that NATAS arbitrarily deems a reason to disqualify. • A written procedure must be put in place for questioning and if necessary disqualify a ballot. • An independent body needs to deal with all process issues and or discrepancies. • NATAS must have an arm’s length relationship with the accountants. • An outside, neutral third party must be hired to audit the voting process across all categories for the 2017/2018 awards and those results must be made available to us and to the TV Academy. • We were promised by NATAS senior management that the winners would only be known to the accountants prior to being announced on stage. This has not been the practice. • Despite their assurance, it was clear during the April 2018 ceremony that the winners were known by many in advance. This is unacceptable. • We feel that it is a conflict of interest for the executive(s) administering the competition in any way, shape or form to also produce the awards show. The executive in charge of the competition is responsible for the integrity of the competition and the awards. We feel that this conflict contributed to recent transgressions regarding the Digital Guest and Supporting performer categories. • NATAS must hire a team, separate from the competition executive(s), to produce and executive produce the actual awards show. • The rules need to be more detailed and include the procedure and process for all aspects of the competition. The concerns listed above are very serious to us. Our goal is to bring integrity back to the Daytime Emmy competition and awards show. We have no confidence in the ability of the persons currently running the competition to accomplish this goal. The letter was signed by Greg Meng, Co-Executive Producer, Days of our Lives; John Fisher, Supervising Producer, The Young and the Restless; Steven Kent, SEVP Programming, Sony Pictures Television; which produces Days of our Lives and The Young and the Restless; Frank Valentini, Executive Producer, General Hospital; Eva Basler, VP Communications, Bell-Phillip TV Prods., The Bold and the Beautiful. Kent and Basler also are Governors of the TV Academy. It is about time. NATAS seems to always step on it.